The global economy is in deep trouble. And there are growing signs that the US economy is slowing as well. The paltry 0.5% GDP US growth in the first quarter 2016 (itself overestimated by at least 0.3%) will not ‘snap back’ in the second quarter, and will continue to slow over this summer. 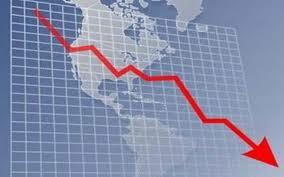 The US will slip into a moderate recession after the November elections (my predictions). Globally, Japan is in deep trouble, with prime minister, Shinzo Abe, at the recent G7 meeting, declaring another ‘Lehman Brothers Moment’ (the bank that collapsed in September 2008) is approaching. His warnings were ignored by the other G7 ministers. Japan’s massive QE and negative interest rates experiment has failed. The Eurozone central bank, like the Japan central bank, has embarked upon a policy of negative interest rates now that QEs effects have significantly diminished. More than $10 trillion in government bonds globally are in negative rate territory. And unknown additional amount in private corporate bonds, the collapse just beginning. Globally, there are more than $10 trillion in non-performing corporate bank loans, concentrated especially in Europe and China. Should a UK ‘Brexit’ event occur on June 23 (I predict a 55-45 chance it will), it may precipitate a major global stock market correction. Global trade is dramatically slowing, real job creating investment is reaching a stagnation level, productivity in the advanced economies is already nearly zero, with predictions it will turn negative soon–the first time in the US in more than a half century. To the extent job creation has occurred in the US and advanced economies, it has been overwhelmingly ‘contingent’–i.e. part time, temp, contract…and growing ‘gig’ jobs. Median and below household income has fallen in 220 of US geographic regions. In the USA, candidates of the two wings of the Corporate Party of America–Hillary Clinton and Donald Trump–have no idea of the depth of the discontent seething below the surface, as 18-34 youth are faced with crap jobs or no jobs, middle age workers deal with nearly a decade of little or no wage growth, and those over 65 abandon retirement and work part time service jobs to try to make ends meet. Meanwhile, everyone is gouged by escalating rents, health insurance premiums and costs, escalating education expenses, while corporations distribute $5 trillion in stock buybacks and dividend payouts to their 1% wealth investors. 50,000 at a time attend Sanders’ rallies in California, as more hear him tell them what they already know from experience. In Europe the ruling elites’ solution to the growing problems of the economic system is ‘labor market reform’. That is, reduce wages, eliminate union bargaining power (what’s left), cut benefits, slash pensions (deferred wages), make it easier for employers to fire and layoff workers, and transfer all the savings from all the above to their companies….in the false expectation it will enable them to reduce costs and prices and thereby steal exports from their global competitors, in a rapidly slowing global trade economy. Capitalists fight over a shrinking pie, and take it out on their workers to enable them to do so. A race to the bottom. How this has come about in Europe, read my 12,000 word chapter on Europe from my recently published book, ‘Systemic Fragility in the Global Economy’. (FOR A COMPLIMENTARY CHAPTER 5, ‘CHINA: BUBBLES, BUBBLES, DEBT AND TROUBLES’, scroll down the articles at the url to read my assessment of economic fragility today in China). For more on the book, ‘Systemic Fragility in the Global Economy’, go to the ‘Books’ tab on the website’s toolbar, for Synopsis, Table of Contents, and complimentary INTRODUCTION CHAPTER. To order Jack Rasmus’ book, click the Clarity Press ad at the foot of the Left Column.